Throwing up hairballs isn’t natural. 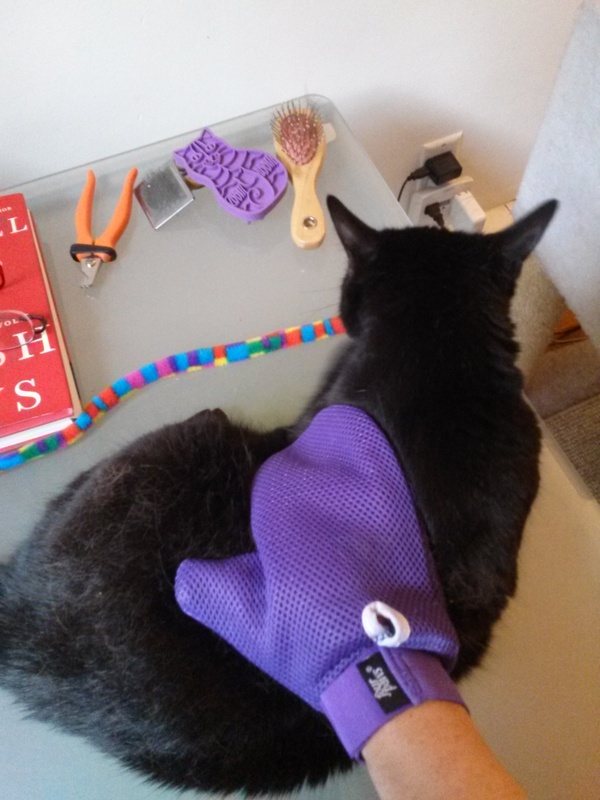 If cats still lived outdoors, shedded fur would be blown off or pulled off. In the home, fur detaches, gets licked into the throat and is either vomited out, or accumulates enough to create an obstruction if it doesn’t pass through the body. Everyone has time for 15 seconds of brushing a day. For a short-haired cat, 15 seconds can mean the difference between hairballs and no hairballs. 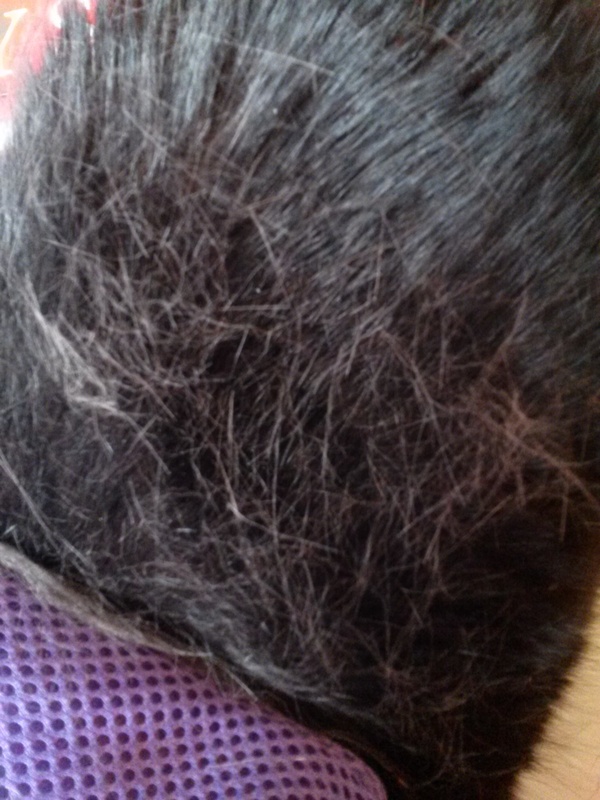 The volume of shedding fur usually increases dramatically in spring and fall. Love Glove mitt briskly stroking fur. Cats enjoy this. 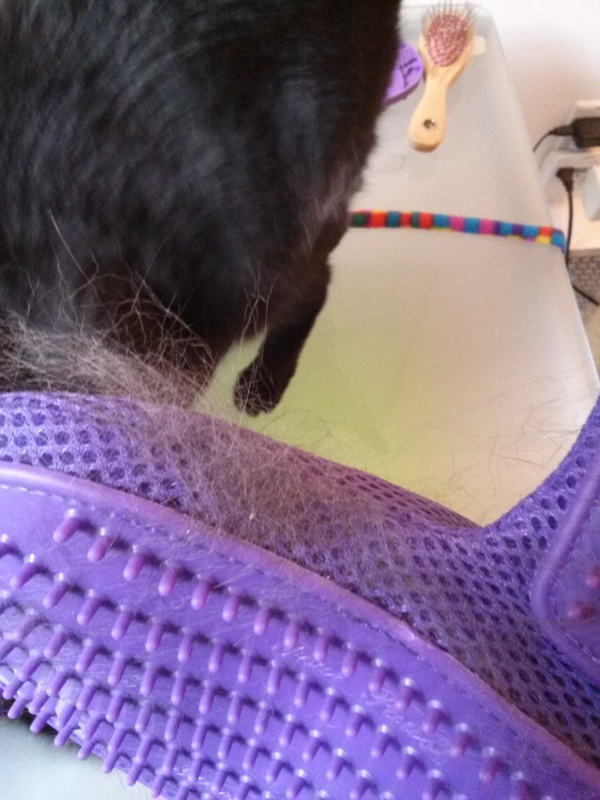 After 3 seconds brushing my cat Emma. After a few more seconds . . . Done for the day. 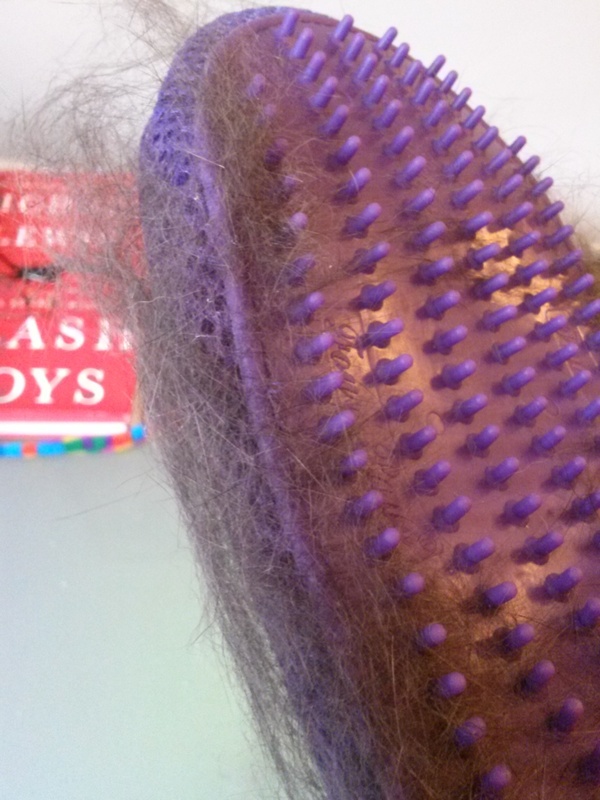 15 seconds of brushing.